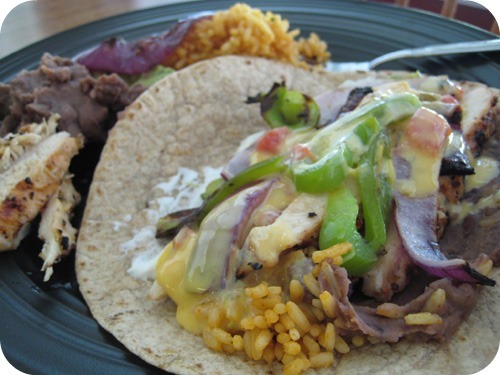 A few days ago, the husband and I both got a hankerin' for some serious fajitas and I realized it had been forever since I'd made any myself. I thought to take a few photos of the process and ended up with our food-induced Sunday in a series of pictures. 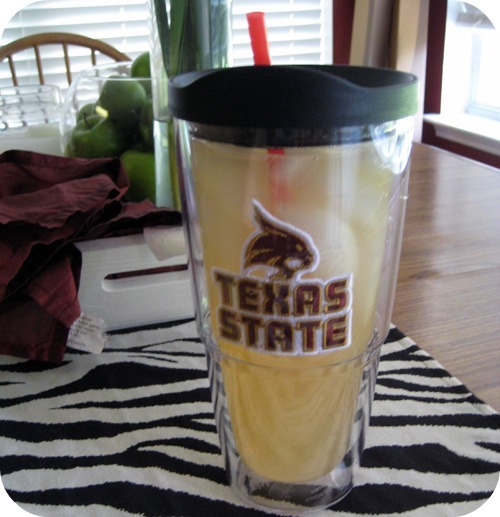 First I mixed up a Jack and Lemonade in my new Texas State cup that I purchased at Bed, Bath & Beyond. Love it! 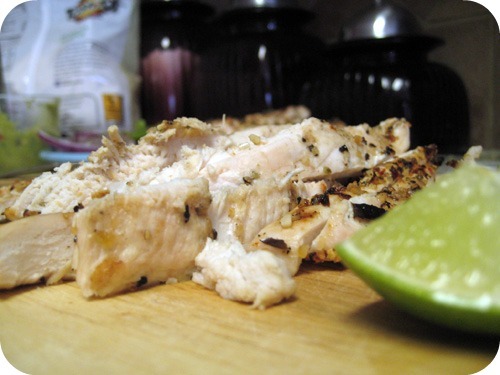 ...and I grilled juicy, perfectly seasoned chicken breasts, which I then cut intro strips. We had all the trimmings like guacamole, rice, beans and grilled onions and peppers. 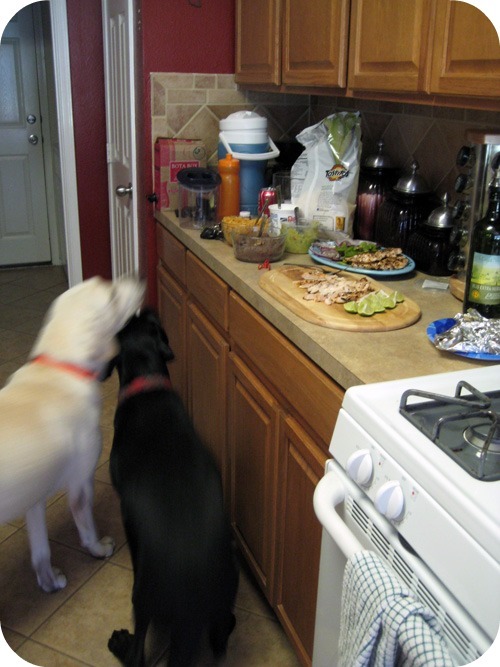 Then we had to put the dogs in their kennel, because they were way too interested in taking a bite out of our lunch! It all culminated in a super yummy plate of food. And then we took a nap. Hope you have had a wonderful weekend!! I see Shiner!!! And Jersey Girl!! Glad they are inside with this heat. I love seeing this post and can almost smell the fajitas!! Your guacamole is the BEST! 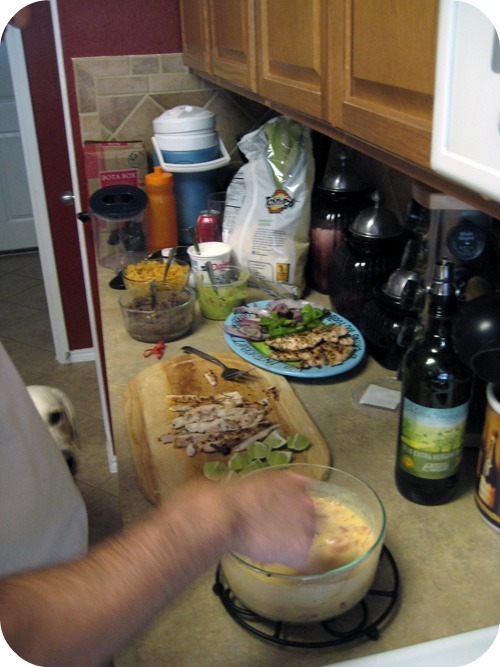 Found you from Linda's blog - tasty lunch. Those dogs do what dogs like to do - beg for a taste or two. Oh my goodness... that's everything I've been craving lately. Yum! These look amazing! I would love to see the recipe!